This country is packed full of events and places for you to start your own personal adventure. Here’s a small selection of what’s available in the summer of 2018, from learning how to repair a bike to some of the world’s most punishing races, via trampolines and a surprising number of zip lines. With locations in Edinburgh, Perth and Dundee, the Bike Station offers a one stop shop for buying reconditioned bikes, learning how to look after them (or have them repaired by the professionals) and general safety training for all ages. They’re local, environmentally conscious and generally a responsible place to start your bike owning journey. Mountain bike specialists Dirt School offer courses all over Scotland – from main hub Glentress in the Tweed Valley to Fort William and Cathkin Braes – providing expert tuition with the simple ethos that your coach should have not just the paperwork but the riding credentials to match. They run courses for anyone from complete beginners wanting to ride safely, weekend warriors who want to improve their confidence and control, right through to riders who race at the top level internationally. If you’re thinking about throwing yourself down a near vertical mountain trail with only a bike between you and the dirt, maybe think about learning some skills from these guys first, eh? 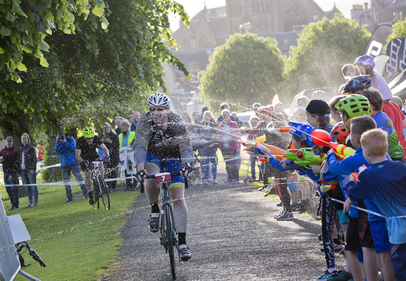 Now the UK’s biggest bike festival, Tweedlove have events throughout the summer celebrating the wealth of mountain and road biking opportunities this area of the Scottish Borders has to offer. They host races for all ages and abilities but the headline is the Big Tweedlove Festival Weekend (8-10 Jun) which features the Whyte British Enduro Championship on the Sunday. Situated in the heart of the Cairngorm National Park, Glenmore Lodge is billed as Scotland’s national outdoor centre and offers a variety of courses and facilities geared towards training across a wide range of outdoor disciplines. 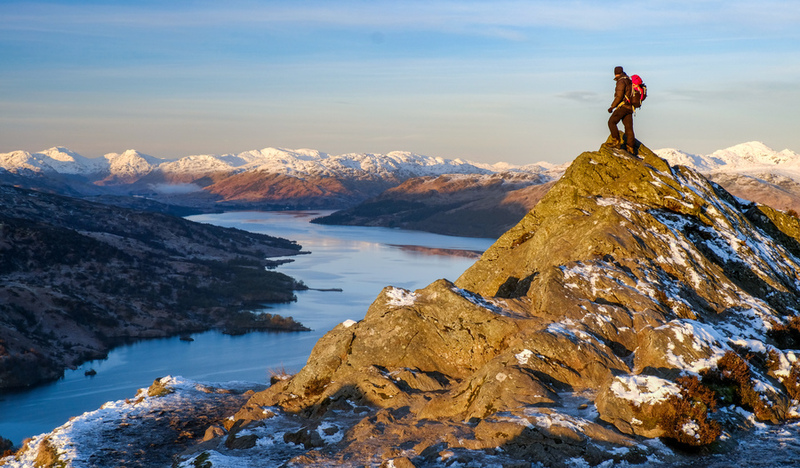 Covering kayaking, canoeing, mountaineering, rock climbing, ski touring and mountain biking (and much more besides), this is a good place to head to find out how to explore Scotland’s great outdoors safely and responsibly. Learn to surf! Located on Belhaven beach near Dunbar, Coast to Coast are well respected for their team of experienced instructors offering a range of lessons and courses in the sports of surfing, bodyboarding, stand up paddling and coasteering. 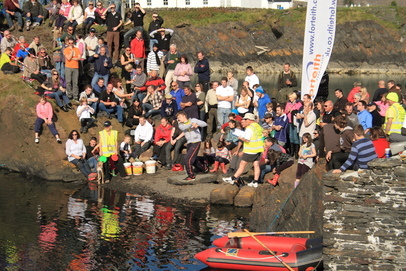 They also run tours and trips to the most remote edges of Scotland’s beautiful and varied coastline. Once you’ve learned the basics and generally got really into surfing, why not join the SSF? Surf’s governing body in Scotland, the SSF organise the national championships and work to safeguard the country’s marine environment. They also offer a range of advanced courses for members, whose benefits include liability insurance, the opportunity to compete in various championships and the chance to participate in protecting Scotland’s surf environment for future generations. 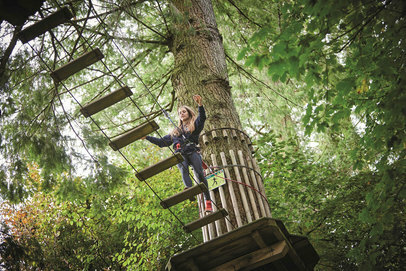 Live out your childhood fantasies of Tarzan or Endor life with a treetop adventure featuring rope courses, zip lines and segways in three forest locations across Scotland – Aberfoyle, Crathes Castle and Glentress Forest, each within driving distance of Glasgow, Aberdeen or Edinburgh respectively – where you can retreat for team, family or solo adventures. And compared to CELTMAN! maybe it is? 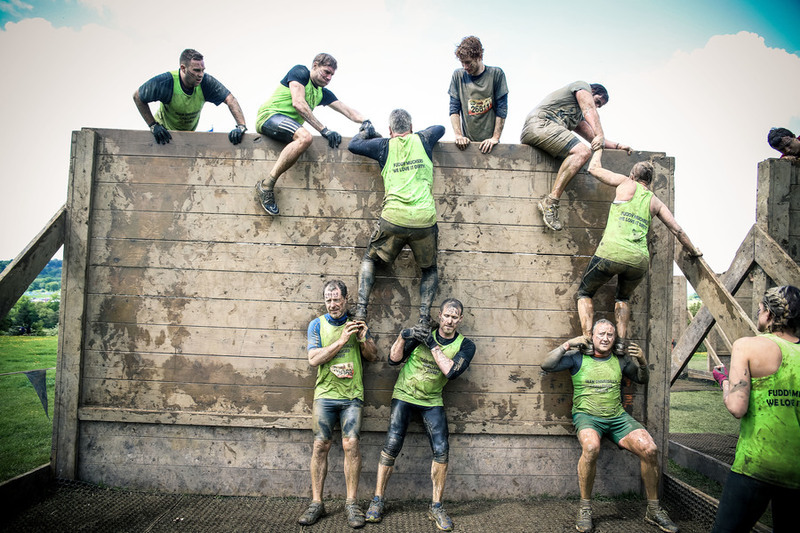 This extreme Scottish triathlon promises participants such delights as swimming 3.4km in cold, deep and jellyfish-infested Atlantic waters, biking 202km on often very windy Highland roads and running 42km over the Beinn Eighe mountain range which includes two Munros! Apparently this is all meant to happen on one day??? You get a blue t-shirt if you finish sooooooo… pretty much sold. What, registration is closed for 2018? Damn. Well, bear it in mind for next year. Scotland’s first dedicated indoor climbing centre, based in Edinburgh Alien Rock offers training from beginners up and the space to learn skills safely, indoors and away from the harsh realities of the Scottish weather. 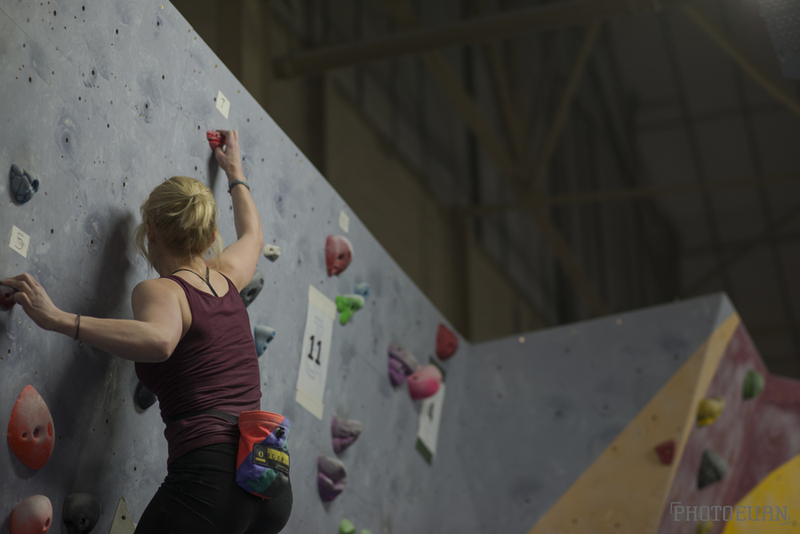 Alien One holds a large selection of roped climbing for all levels, while Alien Bloc nearby provides a bouldering centre with low walls and no ropes. 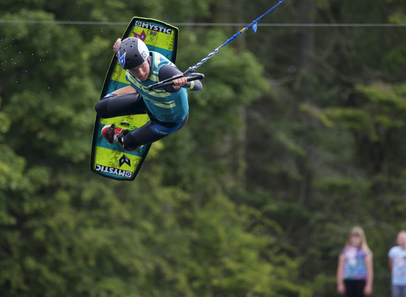 Located 25 miles east of Edinburgh, Foxlake is home to Scotland’s first cable wakeboarding park. It’s also got rope trails, zip lines and segways – fun for all the family (wetsuits are available to ensure survival throughout the ‘summer’ months). This purpose built 90 acre park in beautiful East Kilbride offers a wide range of indoor and outdoor sporting pursuits from Zone 54 – Scotland’s newest indoor skate park – to Air Space, a ‘spring-loaded urban playground’ of over 100 interconnected trampolines. They’ve also got a climbing centre, pool and some inexplicable golf. Explore yoga from a different viewpoint – quite literally – suspended in a soft fabric hammock above the ground. You’ll find classes from beginners onwards across the country, and if you particularly enjoy the aerial part, there’s a whole world of mid air movement to explore from silk work to trapeze. An unparalleled resource if you’re looking to head out walking in Scotland, Walk Highlands provide maps and detailed descriptions of more than 2000 routes across the country including all the Munros. Offering essential guidance on considerations like required skill, equipment and bog level, it’s worth paying close attention to what they have to say. Remember a (plastic wrapped) hard copy is infinitely preferable to downloading onto your phone cos eh Scottish weather. Originally started in Copenhagen, the Mikkeller Running Club has chapters all over the world based on the ingenious concept of going for a run then drinking craft beer with people who also like running and drinking beer. The Glasgow gang meet at Dog House in the Merchant City every Wednesday at 6pm, while Edinburgh vary their route (more details here) but do like Mikkeller stockists the Hanging Bat.